First batch of Volunteers ready to assist! The first ever NVP Volunteer Orientation took place on Saturday, 26th March 2016. Baring a few, almost all of the invited registered volunteers were able to attend and it was an absolute delight meeting them all. The main purpose of the Orientation was to introduce our volunteers to the basic Code of Conduct of required of them as well as to discuss their respective placement within our registered Beneficiary Institutions. The Orientation began with a small but engaging presentation which explained in detail the Volunteer Code of Conduct as well as their rights and obligation within the Beneficiary Institutions. A small activity was also conducted in the midst where all the participants got the chance to share their respective views regarding volunteering, its necessities and the acquired benefits. It was a joy to witness the passion and enthusiasm our volunteers feel on helping the institutions that work tirelessly for the improvement of Pakistan. The volunteers invited were from diverse backgrounds: architects, doctors, teachers, business trainers and consultants, etc. Their effective placements within our registered Beneficiary Institutions – decided via our state of the art match making NVP Portal – was a source of great excitement for us all! This experience gave us first-hand knowledge about the commitment of our volunteers to their respective causes and we sincerely thank them all for their support and passion. NVP would not be possible without their continuous interest. Meanwhile, as more BI’s continue to register, many more volunteers will be required in the near future. The details of our upcoming programmes will be posted soon so stay tuned to our Portal for further updates! In the meantime, keep spreading the word and keep volunteering! Honing your skills through Volunteering. The time given for volunteering has many benefits, from personal sati sfaction to learning new skills and gaining experience. 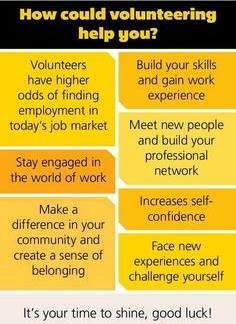 For the volunteer, volunteering can help in personal development. For society, volunteering can help in expanding outreach and boost the community spirit through involvement. One way of volunteering is using our skill sets. If we feel we have an interest or are particularly proficient in something, we can choose to volunteer in those skills. A number of local small social organizations have been developed by housewives using their interests and skill sets in traditional textile embroidery to teach and involve less fortunate women in projects which create outfits to be sold and gain household income. Other popular activities include teaching the underprivileged and conducting medical camps for the poor by doctors. All of the activities mentioned above use that ‘particular skill set’ which is important to the activity’s focus, but to run any activity or enable it to grow its outreach, such institutions need further help. Often students are asked to intern to provide help. The help required is unplanned, often frustrating the student who normally just spends his time twiddling his thumbs or partaking in a mundane activity. Such volunteering is not fruitful for anyone – the institutions will gain little out of the time – whilst there will be no learning experience for the student or volunteer. Volunteering, if properly managed can be a valuable learning experience adding to the skillsets and confidence of the person. Establishing volunteer management plans can derive the greatest benefit out of volunteers for nongovernmental organizations and charities. The plans define the activities volunteers can be used for. This can be used to meet expanding needs in institutions with limited resources. If the institution is able to define what it needs and the volunteer can be recruited to meet its requirements – then there can be a ‘match’ so to speak. If volunteers can choose particular activities that appeal to them which make use of what they know, then they can be content in making a more meaningful contribution. Globally, this type of volunteering has become very widespread. With the advent of the internet and social media, volunteering has become very easy. Many portals are available online which make it possible for volunteering in many ways. Most portals allow you to develop a profile and identify your interests, skill sets and also show profiles and requirements not for profits which require volunteers – making it easy to choose. The National Volunteer Programme offers this facility. Volunteer recruitment is managed through filling in a form online. The advantage of the programme is that it has defined areas where volunteers can assist in terms of interests and skill sets. Beneficiary institutions let us know of the needs through the ‘job description template’ about the requirements they have and we match both volunteers and institutions where both can benefit most. It is also easier to become involved with these institutions as well if they have defined modes of volunteering. In this day and age with work, family commitments, internet, socializing and other activities – all our time is literally timetabled. If we slot in volunteering in our time, we would look forward to being productive in that time period. The National Volunteer Programme offers the opportunity to be compassionate and hone in personal development. Welcome to the inaugural blog issue of The National Volunteer Programme (NVP). 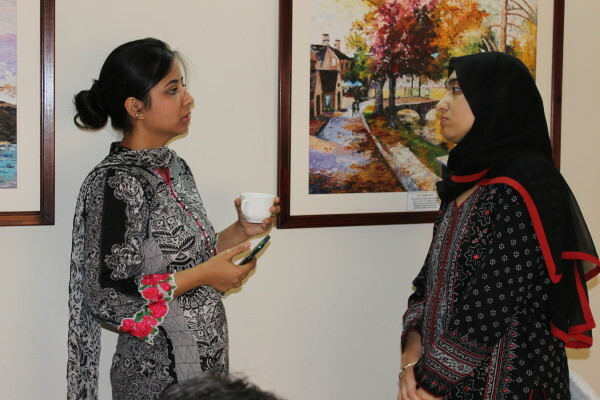 The NVP is striving for two key goals – realization of the potential of volunteering in Pakistan and the provision of the much required human resource relief to institutions working hard to improve the lives of the people of Pakistan. The NVP provides volunteers with an opportunity to choose how to volunteer their time. Many volunteers have specific skill sets which they can use in their volunteering. The NVP portal makes use of a volunteer’s specific skill set to provide a match in institutions which have specific human resource requirements. One such institution is the Trust for Development Studies and Practices based in Karachi. The institution has established the Institute of Development Studies and Practices (IDSP) in 1998 in Quetta. 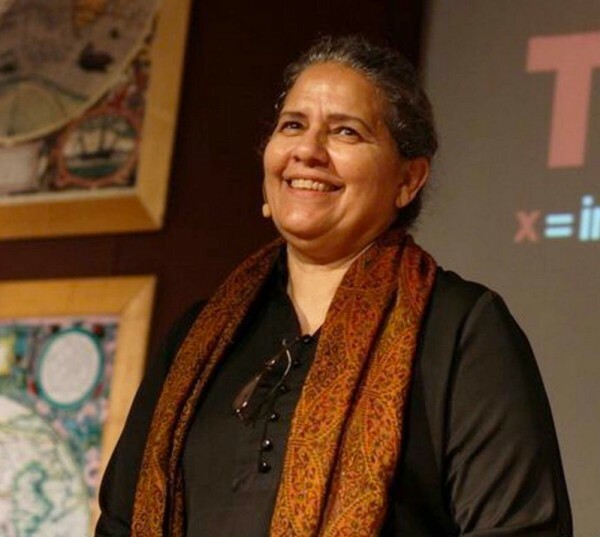 Dr Qurat Ul Ain Bakhteari is the founding Director for the Institution. 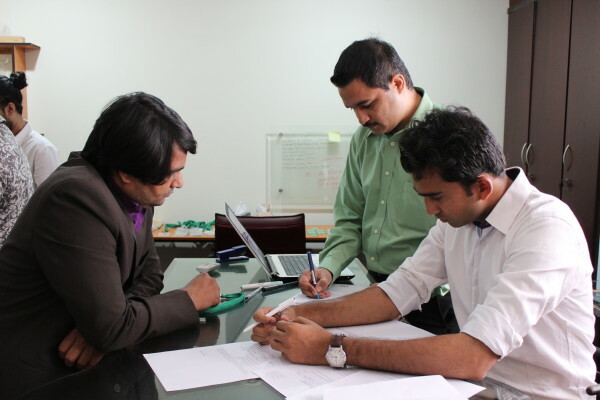 IDSP has based the institution on training the youth of Pakistan. “Although the IDSP has initially been established in Balochistan, the plan is to develop such institutions all over Pakistan” says Dr Qurat Ul Ain. “Whilst our programmes are growing, we need support at the institutional level for long term sustainability.” says Dr Qurat Ul Ain. With limited resources – often this is not possible. 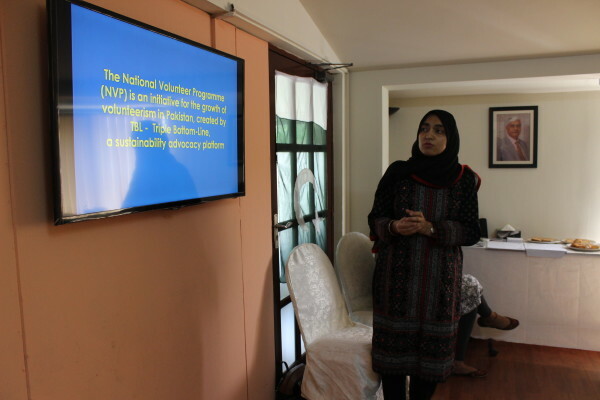 The NVP hopes to provide support by matching volunteers with the skills to meet the requirements of such institutions. Dr Qurat Ul Ain applauds the concept of the NVP. “The idea of creating a platform to start work on volunteer services will be appreciated as it will provide the necessary support to institutions such as ours according to our specific needs” she says. “We need support in administrative activities such as database upgrading to proposal development”. The NVP will also provide clarity to volunteers. The volunteers can go to the institution knowing the clear requirements. This adds value to their time and increases the sense of satisfaction as they contribute to the organization in a meaningful manner. The NVP takes into consideration the needs of the volunteer in today’s day and age. The portal provides a format for online volunteering which reduces the time required for finding an institution that is according to the interest of the volunteer. Dr Qurat Ul Ain commented on how the world has changed in many ways. 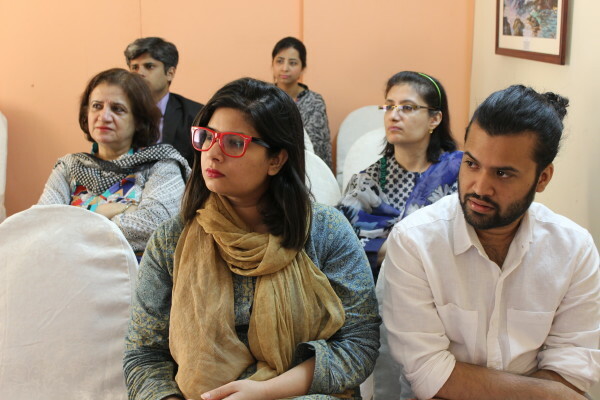 “The need of the day is to embrace the new age – The NVP is innovative in bringing the modern concept of volunteering to Pakistan”. 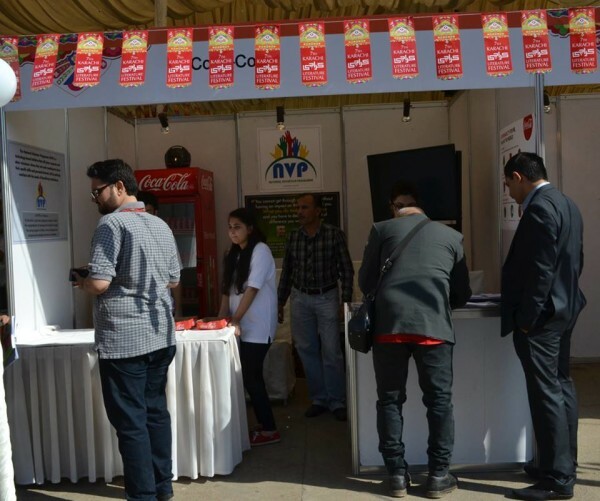 National Volunteer Programme was launched at the Karachi Literature Festival 2016. Our stall was continuously busy with visitors. All in all more than 400 people visited our stall and approximately 250 signed up to volunteer at a beneficiary institution in Karachi. The volunteers who registered are from varying backgrounds: sports trainers; Principals of prestigious schools; doctors; environmental consultants, lawyers etc. We are excited at the prospect of seeing volunteers placed at many of the small institutions which always need a helping hand. In the course of the establishment of the National Volunteer Programme, we have been in touch with both small and large beneficiary institutions which have professed a need of having volunteers work for them. The needs range from maintaining the website, developing proposals, mentoring children and adults etc. Each institution has needs specific to the size of organization they are as well as the beneficiary focus of their institution. A volunteer with the specific skill set can meet the needs if they are given a clear job description to work from. The concept of National Volunteer Programme is to create a match which not only satisfies the volunteer but it also satisfies the beneficiary institution. This is done through a structured process which enables us to monitor the volunteer at the institution as well as value his/her service. The volunteer will be awarded with a certificate for volunteering a period of a minimum of 24 hours (which is approximately 3 hours a week). If the volunteer continues to volunteer with our programme, his/her hours are accumulated and exciting giveaways are available at 50, 100 and 200 hours. These tokens of appreciations compare little though to the overall sense of personal satisfaction a volunteer feels on helping institutions in the upkeep of Pakistan. In addition to feeling satisfied, the volunteering helps a person improve his skills – communication, leadership, as well as technical. This adds to the overwhelming learning experience. The National Volunteer Programme offers a state of the art matching methodology which makes it easier for the volunteer to work in a cause which he/she feels closer to. This could be an NGO working in relation to human rights, environmental protection, senior citizens and so on. It helps us value the good work done by these institutions and learn a little more about our country. We have all become a little insular in our daily lives. Meeting people working for Pakistan and their beneficiaries has made me humble and proud of the selfless work done against all odds. Now you can contribute in your own way by volunteering your skills as a way of showing compassion for those in need.